Gary grew up in Southern California and felt God’s call to full time ministry during the summer of his junior year of high school. After graduating from BIOLA University, and later earning his Doctor of Ministry degree from Talbot School of Theology, he has pastored for over 40 years serving churches in California and Washington. Gary and his lovely and talented wife Joy have been partners together in life and ministry for over 37 years. He loves working out at the gym, vintage Mustangs, the Lakers, Seattle Seahawks and USC football. In his spare time he enjoys creating historical dioramas (historymadesmall.com) and teaching pastoral health and leadership courses at Tozer Theological Seminary in Redding California. He is also the author of The Discipling Making Church in the 21 Century and loves mentoring and encouraging ministry leaders and church planters. Sonly grew up in Cambodia where he survived the horror of the killing fields followed by five years in refugee camps. After coming to the United States he later graduated from Prairie Bible Institute in Canada and has spent over 30 years in ministry as a pastor, educator, church planter and denominational leader with the C&MA. He has recently planted three new churches in Cambodia. Sonly and his wife Phalla have two teenage sons and make their home in Anaheim. Sonly loves donuts and is a professional chef and enjoys cooking foods of all kinds. Carlos grew up in Orange County and became involved in gangs, drugs and violence during his teen years. He was in and out of jail numerous times over the years, but it was during a 16-month period of solitary confinement in Chino prison, that he met the Lord Jesus Christ as his personal Savior. As he fully surrendered his life to Jesus, and stepped away from the destructive path he was on, he truly began to experience the "new creation" life spoken of in 2 Corinthians 5:17. Today he and his wife Wendy have a heart and passion to minister to gang members, victims of abuse, drugs and all who have been affected by that lifestyle. Carlos has been a bi-vocational pastor over five years and is a compassionate shepherd and gifted teacher of God's Word. 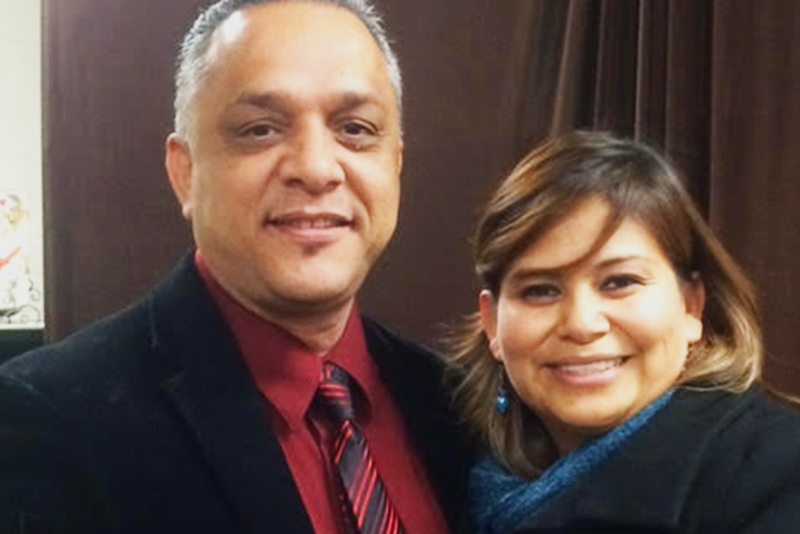 In addition to Sunday services Pastor Carlos & Wendy teach marriage classes- "Marriage Matters". David was born and raised in Orange County. He committed his life to Christ at age 4 but didn't fully grasp his faith until I was 21. When David was 22 he was hired on at Hume Lake Christian Camps as a Support Services summer staffer. He ended up working full-time at Hume for 3 total years as a Support Services Crew Member. While at Hume, he was a volunteer Junior high leader, as well as worship leader. David currently attends Santiago Canyon College, in pursuit of a math degree. In his spare time, David loves to play guitar, singing, and play basketball. His favorite scripture is James 1:2-4. Joel was born in Orange, California and grew up in a pastor’s family. He has been a bi-vocational pastor and church planter for over 25 years. He is a design engineer by trade and loves to teach and play both piano and guitar. He enjoys playing chess and loves basketball. He is also a translator and interpreter (Spanish) for public speakers, having translated several ministry oriented books. Joel’s ministry targets 1st and 2nd generation bi-lingual Hispanics. His wife is a teacher in Santa Ana where he is also actively involved in the community having served as clergy spokesperson for immigration reform and as a consultant in several prison mentorships.